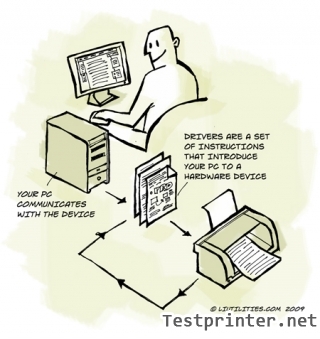 In this article, TestPrinter.net will instruction how to install Canon LBP2900 driver software with installation CD-ROOM disk from Canon Manufacture. Before install Canon LBP 2900 software with installation disk, please connecting your Canon printer to your computer. 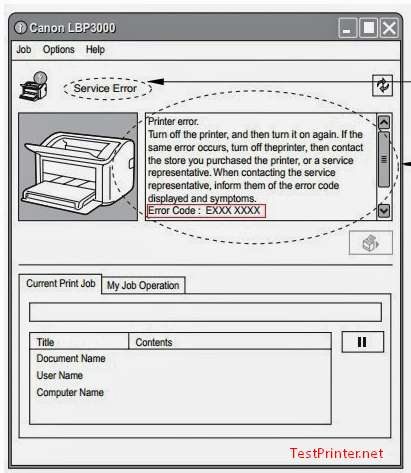 – If you don’t know, how to connect your Canon 2900 printer to your computer, please read article: Describes how to connect Canon LBP 2900 printer to your computer. – Insert your “CANON LBP2900 User Software” installation disk (CD-ROOM) into the CD/DVD-ROOM driver on your computer (Or portable CD/DVD room drive). – Wait a second, the Canon LBP 2900 Setup will appears automatically. When this windows appears, click to [Install] button to start setup your Canon LBP 2900 drivers. The printer driver with your languages will be installed, when installer program ask: Do you want to Continue? click “YES”. The InstallShield(R) Wizard will install CAPT Canon LBP2900 printer Driver on your computer, to continue, click [NEXT] button. Click “I accept the tearms in the license agreement” to confirm the content of the Canon LBP 2900 agreement. 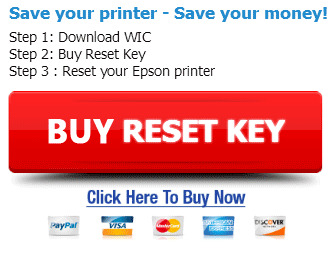 To install the canon lbp 2900 printer driver through a USB connection, You need click to stick “Install Printer Driver thought a USB connection” and click “NEXT” button to continues install your canon drivers. When the “Installing Printer Driver with Plug and Play” windows is displayed, Press the Power button (the ‘I’ side of the power switch) tu turn your Canon printer on. Now, the “Installation is complete” windows is displayed to inform you that the installation is complete. Select [Restart my computer now], then click [Exit] to complete. When the Canon LBP 2900 CAPT software is finished installing, the following icons and folders will be created.